The greatest crimes are no longer those complex, thrilling heists that are glamorized in films. The greatest criminals are no longer those masterminds who develop incredible schemes for stealing highly valuable objects. The great dangers to society are no longer bombs or armies. As the world becomes a more technological sophisticated and dependent place, we increasingly are exposed to the threat of digital warriors. 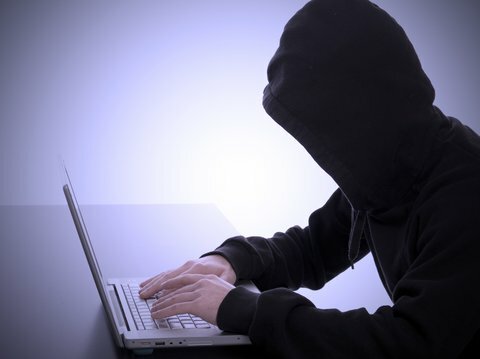 Individuals who have computer hacking talents possess at the tips of their fingers the most potent weapons for theft and chaos. Even though we marvel at the technological advancement of our society, we are also vigilant on the digital war front, protecting ourselves from the very threats our technology enables. This is why it is essential to have talented computer crimes and cyber security professionals in a wide range of organizations. When you obtain your Associate's Degree in computer crimes and cyber security, you are enhancing your skills that will make the digital world and our world a safer place. Since technology and criminals are much more advanced, our abilities to defend ourselves must advance accordingly as well. The latest studies show that digital crimes like cyber terrorism, cyber theft, and cyber espionage are on the rise. Criminals are becoming more sophisticated in their tactics, and governments, organizations, and businesses need to continually remain vigilant to counteract these malevolent intentions. Two particular areas of focus for anyone pursuing a career in cyber security are cybercrime investigations and information assurance. These two areas encompass a broad range of institutions and crimes that generally threaten us, and an Associate's Degree in cyber security helps to prepare individuals to work as an effective force for good in these areas. Cybercrime investigations generally fall under the jurisdiction of the criminal justice system. Here, individuals are skilled in computer science and possess a strong understanding of how to acquire information even deleted documents and prior search histories from suspects' computers. This means that suspects are creating electronic trails that computer forensic experts can follow. It also means that crimes that are committed electronically can be traced, providing information and evidence to crime investigators. Normally, a cybercrimes investigator works on a team of criminal investigators and is able to locate information, reconstruct events, provide reports, and even testify in court if necessary. Since many crimes are committed in the digital arena, and since many criminals habitually use electronics, having experts in the area of cybercrime provides one more deterrent and one more way to catch those who still decide to do wrong. Computer crimes investigators often work within police departments or as part of a private security firm that offers investigatory services. Other cybercrimes experts offer cyber security to the government agencies, military, businesses, and other organizations that need it. Often times, classified of personal information is embedded within these networks, and organizations need to make sure that only certain people have access to this information. Cyber security experts produce the security software and techniques that protect this vital information. They not only install the applications, but often provide consistent monitoring, counteracting hackers should an attack occur. Many cyber security experts are also talented hackers themselves, and they use their skills to find out where certain security systems have their weaknesses. So as crimes increasingly become more sophisticated, so too are the training programs that are developed to equip our government and businesses with the cyber security they need to remain protected. Earn your Associate's Degree in Criminal Justice or cyber security so that you can hone your skills and fight back against crime on the newest war front: the digital arena. By mastering coding, hacking, security systems, applications, and investigatory techniques, you will become a force to be reckoned with that will keep the world a safer, more secure place. Join an amazing career in the computer cyber industry. Below are some of the top reasons to begin your career training now. Data Breaches – Large companies recently have encountered large data breaches and constantly need to update their systems to stay on-top of these breaches. Companies such as these handle millions of credit card transactions daily and security is their #1 priority. Growth – The cyber security industry is expected to grow 12X over the next 10 years. Your Associate’s degree in cyber security will allow you to apply for an entry level position and get your foot in the door. The industry is actually expected to grow faster than normal IT positions. Shortages – the cyber industry is experiencing a shortage of qualified individuals who have a cyber-security degree. The biggest need is in the financial services industry as well as government jobs. Most government jobs have strict degree policies for you to qualify. Salary – The salary for most entry level cyber security individuals that possess an Associate’s degree will be $48,500-55,250. Those with an advanced degree can expect to earn 6 figures. It is also recommended that you earn your certified information systems security professional CISSP or certified ethical hacker certificate issued by EC Council. IT Focus – If you have any former IT background and love computers then a cyber-security career might just be the right career. It is recommended that you take as many programming languages as you can during your associate’s degree training.